The cast from “The Boys from Syracuse” takes its final bow. 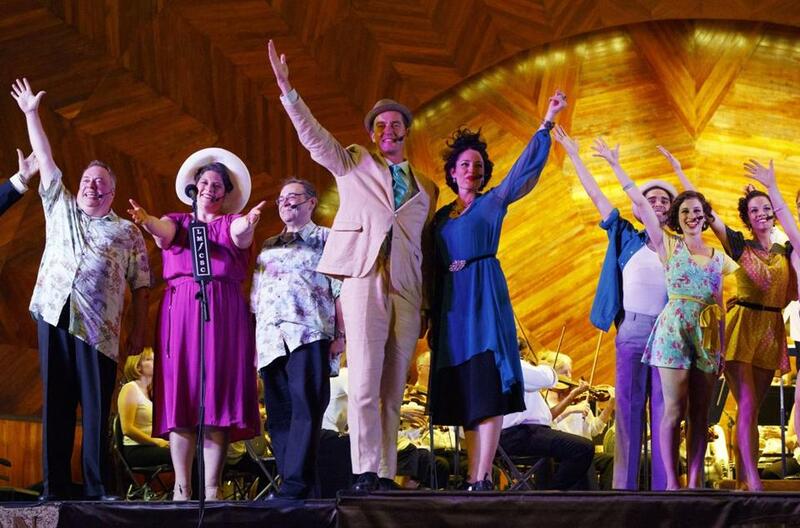 The Boston Landmarks Orchestra closed its 2016 free Wednesday concert series with a well-attended show at the Hatch Shell. The performance of the Rodgers and Hart musical “The Boys From Syracuse” — with music and dance — was a collaboration with Commonwealth Shakespeare Company. The show’s creative team included music director/conductor Christopher Wilkins, co-directors Steven Maler and Adam Sanders, choreographer Peter DiMuro, and costume consultant Brooke Stanton. A previous version of this story misidentified the choreographer. It was Peter DiMuro.